Significance: When Jar Jar snags a Gorg using his long tongue from a vendor in Mos Espa on Tatooine, he accidentally hits a Dug, with it. The Dug he hits with this delicacy is Sebolba who is Anakin Skywalker’s competitor in the sport of pod racing. 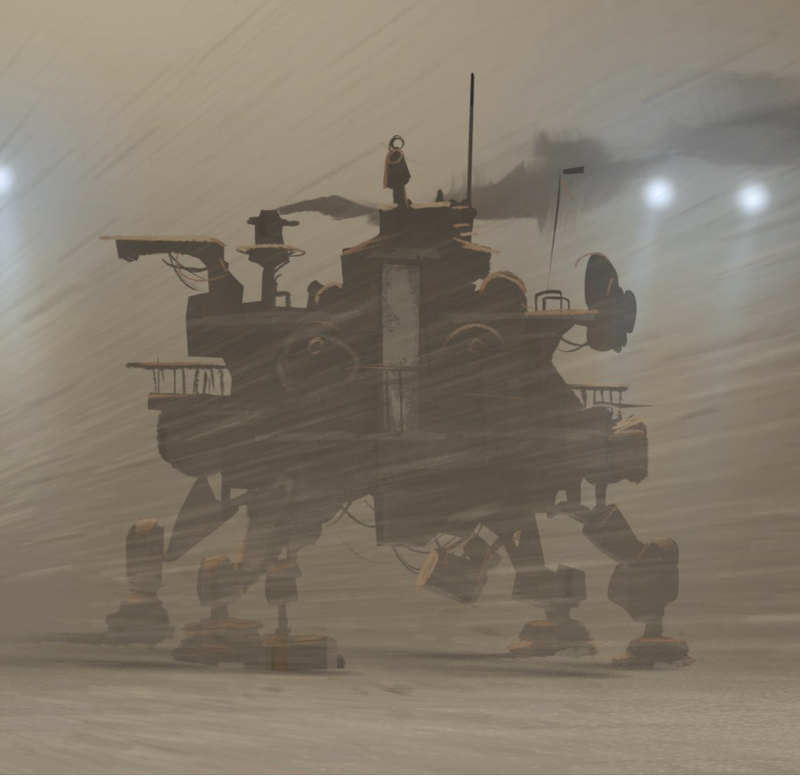 The introduction of Sebolba is important in understanding what obstacles Anakin has to face in winning the Podrace, which is necessary for the ship repairs and in gaining his freedom from slavery. 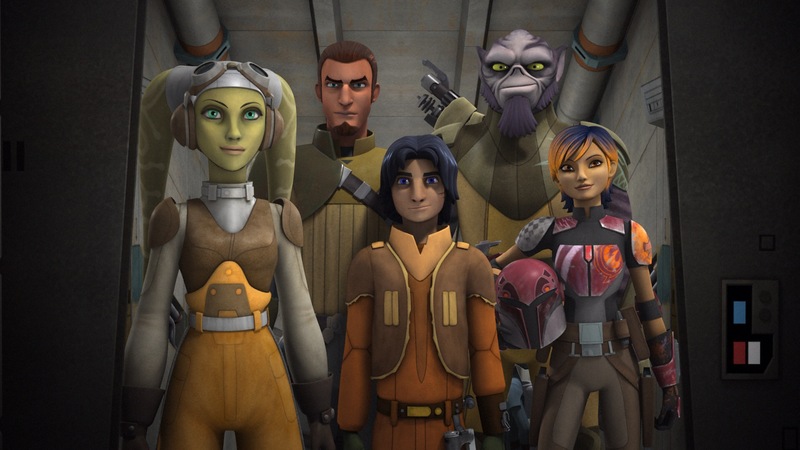 Significance: Just before Ezra Bridger met the crew of The Ghost, a merchant selling Jorgan fruit was having a confrontation with Imperial officers. This confrontation led the Imperials to call for this merchant’s arrest for treason. Ezra quickly went to help this merchant by making these Imperials think there was an emergency elsewhere in the city. After these officiers left the area, Ezra helped this merchant pick up the Jorgan Fruit that fell to the ground during the confrontation. However, he takes some of the Jorgan fruit without permision. This scene with the Jorgan fruit, gives us a better understanding of Ezra’s character as quick thinking thief, who is willing to help when he can. 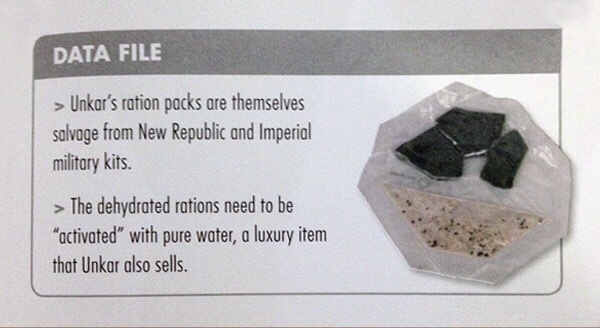 Significance: In The Force Awakens, Imperial rations are used as currency on the planet Jakku for items that are salvaged from crashed ships. When Unkar Plutt offers Rey 60 of these ration portions for BB-8, she refuses to sell the droid. This shows that Rey’s friendship with BB-8 is more important to her than what she was offered. Significance: A simple assignment to obtain some of this fruit for Hera turns into an adventure where Zeb and Ezra obtain a Tie Fighter. 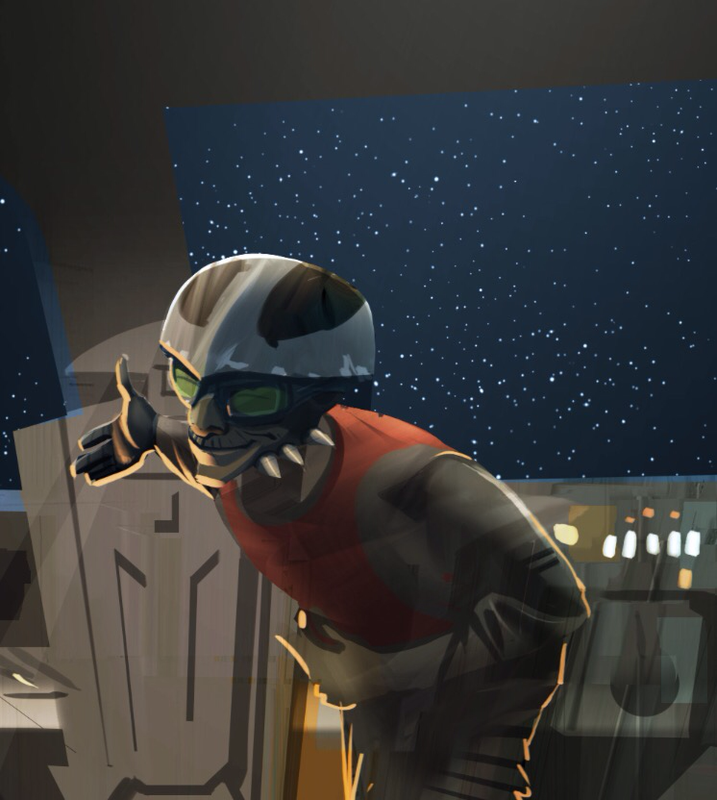 This Tie Fighter was then used as part of the plan to a rescue Kanan Jarrus from Imperial custody. Significance: This stew is the ‘Good Food’ that Yoda offers Luke when he first encounters him on Dagobah. This is significant because it is when Luke is eating this repast that he discovers that the crazy creature that offered to help him find the Jedi Master, Yoda, is actually the one he was seeking. So do you agree with me that these foods have significance within the Star Wars Saga? Do you have any other examples that I missed? Patty Hammond (@pattyBones2) is the Everyday Fangirl from Michigan who has a disguise as a mild mannered data analyst. Patty is very active in the Star Wars community. You can find her posting about Star Wars and much more on her blog EverydayFangirl.com, TheCantinaCast.com, FutureofTheForce.com, TheBeardedTrio.com, and of course on Twitter @Pattybones2. I really love Disney’s Beauty and The Beast, both the movie and the Broadway play. I am also looking forward to the live action starring Emma Watson as Belle. When I saw The Beast Within A Tale of Beauty’s Beast at Barnes and Noble, I just had to purchase it right away based on the description on the dust jacket alone. The tale is as old as time; a cruel prince is transformed into a beast. A lovely maiden comes into this monster’s life. He is transformed by her compassion, and the love he feels for her in return. The two live happily ever after. But any tale, especially one as storied as Beauty and the Beast’s has been told many different times, and in many different ways. No matter which version one hears, the nagging question remains; what was it that transformed the prince into the beast we are introduced to? This is one version, pulled from many passed down through the ages. It’s a story of vanity and arrogance, of love and hatred, of beastliness, and, of course, of beauty. To me, the story read like a bad piece of fanfiction. Especially, with the introduction of characters like the “Odd Witches”, and the fact that Gaston and the prince knew each other and hung out together before the transformation. I kept thinking that if only these aspects were removed, then the story would have been much better. In addition, there are many head scratching moments within the story that do not feel like they belong or contradict what is depicted in the main story. For instance, Maurice did not actually go to The Sanitarium in either the film or play versions, but this story states that he did. To me this is sloppy research, sloppy editing or both. Fortunately, there are a few aspects of this story that made this a more tolerable read. The introduction of two new characters, Princess Tulip and the Entrantress who put the spell on the prince were a delight to read. Both of these characters are multi-dimensional and have fully realized personalities. I actually wanted to learn more about both of them. Also, the brief scenes with Cogsworth, Lumiere and Mrs Potts contained an interesting look into their lives and their interactions with The Prince before the transformation. If author would have stuck to these aspects of the story, I believe it would have been a much better read. 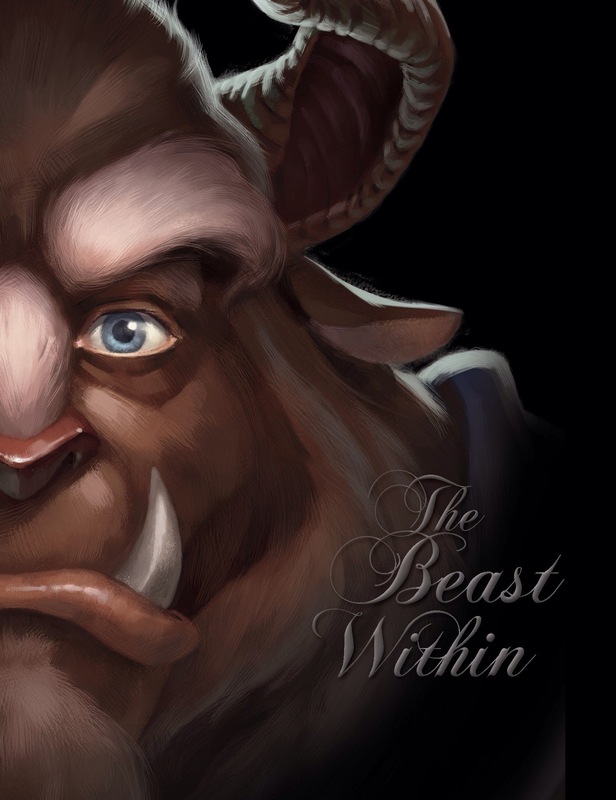 Overall, I cannot recommend this story, especially to any fellow Beauty and The Beast fan. It is now Spring and for many Fangirls and the Fanboys who support them, this means the beginning of the ‘con season’. During the con season there are at least one or two fan related conventions almost every weekend. These conventions can vary in both size and in scope. Some of the can be small, some can be big, some can include multiple fandoms or franchises, while others can focus on just one fandom or franchise. No matter which of these conventions you plan on attending, if you are a newbie or a veteran attendee, these tips may be of help to you. There are plenty of opportunities and choices when attending a convention. Whether it’s attending a panel or special event, meeting a celebrity, or buying a piece of artwork, or collectible these opportunities may not come up again. Therefore, if you have the time or the money required, then do not hesitate or else you may regret it. Many survival guides out there recommend that you plan before you go to the convention. Planning is a great way to determine which panels or special events to attend. However, the best laid plans can be derailed due to crowds, changes in programming or any other unexpected circumstances. Therefore, as part of your planning, include some contingency plans as well, just in case. If Plan A does not work out, then Plans B, C or even D, may be just where you needed to be after all. Wearing fandom related clothes or dressing up as a favorite character can be really cool and enhance your overall convention experience. However, there can be times when an unexpected incident could happen to your clothes or outfit, such as food or drink being dropped into your lap. Those types of incidents cannot be fixed quickly without having extra clothes or accessories with you. If you have these items with you when these types of incidents happen, then you have a greater chance of correcting this quickly and getting back to the fun! No matter how busy you are during the convention it is important that you get as many breaks as you can. Even a couple of short breaks can help can keep you going longer. Sitting down away from all the hustle and bustle, eating a snack, drinking some water or just talking with friends and other attendees can revitalize you and help you get ready for your next experience at the convention. Either during or after a convention many people come down sick with what is commonly know as ‘con crud’. The best may I found to help reduce the likelihood of coming down with something is to bring and use both hand sanitizer and wipes. The use of both a hand sanitizer and wipes will help you reduce the possibility of coming into contact with bacteria or germs that can cause the ‘con crud’ In addition, using these may help prevent the spread of bacteria and germs to other attendees. A win for everyone! Whether big or small, a convention is a great way to celebrate your fandom. However, some attendees, especially those that are new to THAT con, may not be prepared for the size, the variety, the crowds or the long waits. Even those that are prepared and have attended multiple times need to remember that there are plenty of others that may not be. If attendees, both newbies and veterans, brought their patience, their manners and their respect, then everyone can have an awesome convention experience and go home happy! 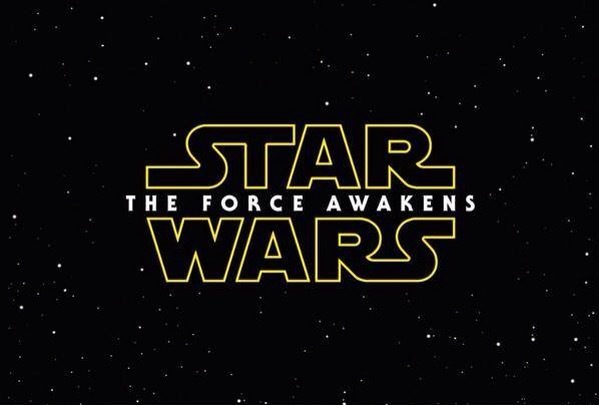 I am so happy with the announcement of the official title of the next Star Wars film, The Force Awakens because it symbolizes the first step in the post production process. Unlike many others in the fan community, I did not speculate on what the title should have been or what it should be. To me the title could mean many different things and I cannot wait to find out what it really means, when the film comes out in December 2015. Therefore, THIS fangirl is anxiously awaiting the official teaser trailer to find out more. 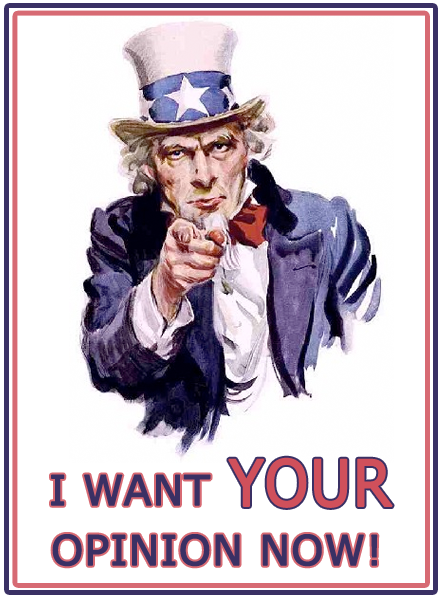 What do you see are the pros and cons of Fanfiction as writers? I wrote Trek fanfic back in the day and I submitted stories to the Strange New Worlds contest. For me the pro was being able to workshop stories with other writers and get immediate feedback from readers. That helped me to improve as a writer as I went along. One con was that when you write fanfic, the fans already know the characters. So even though you’re adding your own spin to the canon, they still may have strong ideas of how they expect those characters to behave. But that created a lot of discussion as well, so maybe it wasn’t really a bad thing. When I first started writing fiction again, it was because a site was having a fanfic round table and I thought it would be fun. It absolutely got me started writing original stories once more. I see no problem with it. It’s a compliment, though I’d never read any fanfic of my own stories for legal reasons. I learned how to put together a full story by writing fan fiction. Hardy Boys to be specific, and then I later dabbled in Thoroughbred. Fan fic took me from dreaming about being a writer to actually BEING a writer. I’m not sure I’d have decided to join any writing organizations and invest money in conferences and learning how to write, if I hadn’t already discovered–through fan fic–how much I loved putting stories together. I started with fan fiction. I learned how to craft a story – not very well, mind. But I got a taste without having to flesh out characters and settings because they already existed. I started writing fanfiction back in high school. It was a good avenue for stretching my creative wings. Although there are certainly some questions on quality, I can’t fault a way in which people (usually young adults) are able to express themselves, explore their creative side and encourage writing and reading in others. I told fanfiction Nightmare on Elm Street stories with my friends. Mostly the people we hated would get killed in creative ways by Freddy Kreuger. It was extremely cathartic. We didn’t write any of it down but then we were about 10 and had to stay outside all day. It passed a lot of time. I’m showing my age now aren’t I? I wrote Buffy fanfic years ago and had so much fun. Also read quite a bit of Harry Potter fanfic. Some fanfic is very, very good. After a while you get good at spotting a bad one in a page or two. Calibre has a downloader to put epubs or mobi on your eareader. I’ll down loader twenty and delete as I go, keep the ones I want to read. But, no $ invested, unlike buying a new author. I wouldn’t be as far on in my career without fanfiction. I might not even be published. So, what do you see are the pros and cons of fanfiction? Do you agree or disagree with these opinions?